Below you fill find all funeral homes and cemeteries in or near Wolfforth. 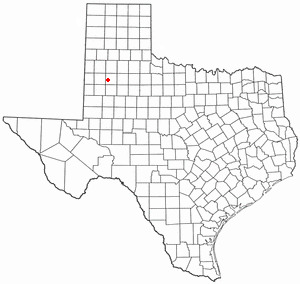 Wolfforth is also known as: Lubbock County / Wolfforth city. Zip codes in the city: 79382. Wolfforth is a city in Lubbock County, Texas, United States. The population was 3,670 at the 2010 census. It is part of the Lubbock Metropolitan Statistical Area. It was disclosed on June 2nd, 2017 that James C "Jim" Cashman perished in Wolfforth, Texas. Cashman was 90 years old. Send flowers to express your sorrow and honor James C "Jim"'s life. It was revealed on June 29th, 2016 that Frances Green (Parker) passed away in Wolfforth, Texas. Ms. Green was 96 years old. Send flowers to share your condolences and honor Frances's life. It was noted on June 29th, 2016 that Frances Green (Parker) died in Wolfforth, Texas. Ms. Green was 96 years old. Send flowers to express your sorrow and honor Frances's life. It was disclosed by Lubbock Avalanche-Journal on April 12th, 2013 that J T Gunn perished in Wolfforth, Texas. Gunn was 88 years old and was born in Corsicana, TX. Send flowers to express your sympathy and honor J T's life. It was revealed by Lubbock Avalanche-Journal on April 12th, 2013 that J T Gunn died in Wolfforth, Texas. Gunn was 88 years old and was born in Corsicana, TX. Send flowers to express your sympathy and honor J T's life. It was revealed by Lubbock Avalanche-Journal on April 4th, 2013 that Marilyn Mize (Shiplet) passed on in Wolfforth, Texas. Ms. Mize was 72 years old and was born in Chickasaw, OK. Send flowers to express your sympathy and honor Marilyn's life. It was reported by Lubbock Avalanche-Journal on January 23rd, 2013 that Henry John "Hank" Dymond passed away in Wolfforth, Texas. Dymond was 61 years old and was born in Hudson, NY. Send flowers to express your sorrow and honor Henry John "Hank"'s life. It was reported by Lubbock Avalanche-Journal on November 14th, 2012 that Roseann Gicklhorn (Galvan) died in Wolfforth, Texas. Ms. Gicklhorn was 47 years old. Send flowers to express your sympathy and honor Roseann's life. It was written by Lubbock Avalanche-Journal on October 16th, 2012 that Fidencia Lara (Lara) perished in Wolfforth, Texas. Ms. Lara was 83 years old. Send flowers to express your sorrow and honor Fidencia's life. It was reported by Lubbock Avalanche-Journal on July 16th, 2012 that Mary Smith (Whitley) died in Wolfforth, Texas. Ms. Smith was 61 years old. Send flowers to express your sympathy and honor Mary's life. The population was 2,554 at the 2000 United States Census census. It is part of the Lubbock, Texas Lubbock metropolitan area Statistical Area. Wolfforth is a city in Lubbock County, Texas County, Texas, United States. . . The official website for the city of Wolfforth is http://www.wolfforthtx.us. Find BBB Accredited Funeral Directors near Wolfforth, TX - your guide to trusted Wolfforth, TX Funeral Directors, recommended and BBB Accredited businesses. Find BBB Accredited Funeral Related Services near Wolfforth, TX - your guide to trusted Wolfforth, TX Funeral Related Services, recommended and BBB Accredited businesses. The finest roses, gifts and Mother's Day flowers delivered fresh. Serving Wolfforth, Texas, surrounding suburbs and the entire country. We work with local florists and flower shops to offer same day delivery. You will find budget sympathy flowers in Wolfforth here. Our funeral flowers are cheap in price but not in value.